Every item we use has an environmental cost, some greater than others. By managing our waste in accordance with the 5 Rs, we can all make a difference by being mindful of the waste we generate. Continue reading as we share some simple tips to help you incorporate the 5 Rs into your daily routine. Freebies and collectables: The Coles Little Shop promotion is a great example of this. How many of you were given those little plastic collectables without acknowledging you wanted to receive them? How such a wasteful and arguably unethical campaign could run during Plastic Free July and just after the single use plastic bag ban commenced is a whole other blog post! Produce wrapped in plastic: Opt for produce that isn’t pre packaged in plastic or netting and send a message to the supermarkets who dictate these packaging requirements to farmers. If farms refuse, the supermarket can simply switch suppliers, leaving them in significant financial peril. Choose naked fruit and veggies and further support our farmers by shopping at greengrocers, farmers markets, local food co-ops (like Food Connect) or direct from the farm. 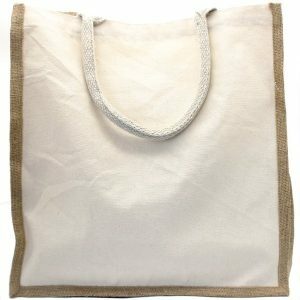 Use reusable produce bags for bulk items. Business cards and flyers: Use your phone to take a photo instead. Straws: If you don’t need a straw, tell the person behind the counter not to put one in your drink. Biome also sells a huge range of reusable straw options. Plastic shopping bags: Whether you’re at a supermarket or a clothing store, can you pop your items in a reusable shopping bag, handbag or just carry them instead? Free bottles of water: Say no to that free bottle of water on a flight or at a conference. Remember to take your reusable water bottle along so you can fill up free from the tap! Junk mail: Pop a ‘no junk mail’ sign on your letterbox and stop paper deliveries. Reduce the amount of plastic products you purchase: Opt for package free, compostable and recyclable alternatives, like bamboo cotton buds, plant based scrub brushes, bamboo toothbrushes, bar soap, and skin care in reusable glass jars and bottles. Reduce the amount of clothes you buy and buy quality: Understand where your clothes come from, who made them, how they were made and what they’re made of. Perhaps you’d like to consider capsule wardrobe made up of only slow fashion items, buying only second hand, or a no new clothes challenge? Opt for multipurpose products: Do we really need a specialised product for everything? Vinegar can be used to clean glass, as a general cleaner, as a fabric softener and to neutralise odours. 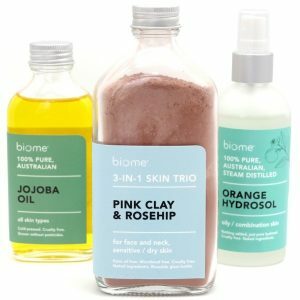 Oils and clays can be use to cleanse, moisturise and treat both skin and hair. Reusable beeswax wraps can be used to cover bowls, wrap sandwiches or folded into a pouch to store snacks. Take leftovers to work for lunch instead of buying takeaway: This will save food waste, plastic waste, money, and pasta always tastes better the next day! Make your own skin care and cleaning products: We have all the ingredients you need and lots of easy recipes on our blog. Grow your own veggies and herbs: Want to know where to start? Read this blog post. Support local farmers: Garlic from Mexico, figs from Turkey, USA cherries at Christmastime? Buy produce in season, grown by Australian farmers. Join a local buy, swap, sell group: These groups help communities save money, save resources and reduce waste. Most communities have one of these groups, many of which are on Facebook. Bin liners: By being mindful about what you purchase, composting and separating your recycling, you’ll find you send significantly less waste to landfill (including less wet waste), in turn eliminating the need for a bin liner. If you do need to contain rubbish, use newspaper or a compostable bin bag made from plants not petrochemicals, like BioBag. Razors: Swap your disposable razor for a stainless steel safety razor – the blades can be recycled! Repurpose: Get creative! An old yoga mat can be cut up to make furniture foot pads, and shoe boxes can be used as storage. The third of the 5 Rs is to reuse (and repair). Start reusing and repairing items instead of buying brand new. Swap single use items with reusables and save money and waste by mending broken items or find a new purpose for items that cannot be repaired. Start with the ‘Big Six’: Find yourself a reusable water bottle, reusable straw (or no straw), reusable coffee cup (KeepCup), reusable shopping bags, reusable produce bags, and reusable food wraps or pouches (like vegan or beeswax wraps). Menstrual products: A menstrual cup and reusable pads and liners will help you reduce a significant amount of waste and plastic packaging. Reusable cloths: Swap single use paper towels for reusable cellulose cloths which can be composted. Reusable containers: Use it to pack your lunch, keep items together, to pick up takeaway, to shop for deli items, and so much more. A stainless steel container is lightweight and will last a lifetime, while many glass containers are leak proof. Tea bags: Opt for loose leaf tea and reuse a stainless steel tea basket. Coffee filters: Swap single use coffee filters for a reusable hemp coffee filter. Batteries: Choose rechargeable batteries over single use batteries to reduce waste. Appliances, tools, bikes, clothes: Broken? Don’t toss it! Find your nearest Repair Cafe or Men’s Shed. See the links in the footer for your nearest one. The fourth of the 5 Rs is to recycle. Maintain a closed loop system by recycling as much as you can. Use external recycling facilities that accept hard to recycle items that cannot be recycled by your curbside collection program, such as light bulbs, batteries, electronics and soft plastics. Hard to recycle items: Toothbrushes, pens and binders – items that can’t be placed in your kerbside recycling bin – can be recycled through TerraCycle. 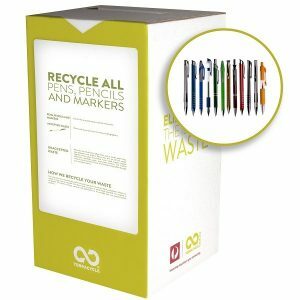 Buy a TerraCycle zero waste bin for your business, school or community group here. Biome is also a TerraCycle drop off point for personal items. 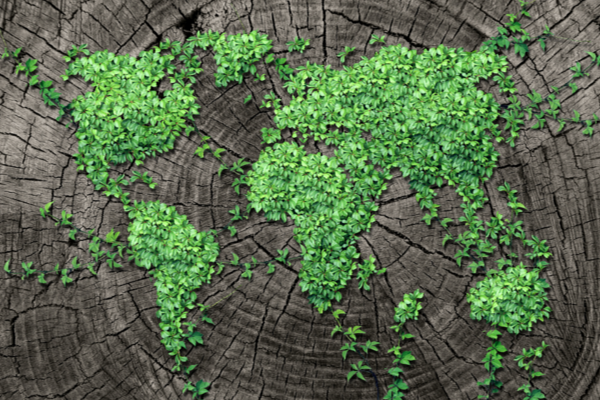 Find out what Biome can recycle for you here. Tip: Place recyclables loosely in the recycling bin, not contained in plastic bags. Clean out tins and containers that held products. Remove lids from plastic containers and place them separately in the recycling bin. This applies to kerbside recycling, TerraCycle and all other alternative recycling services. And the final step in the 5 Rs of zero waste is to rot (compost). Composting your food scraps not only provides you with nutrient rich fertiliser for your garden, it also helps to reduce greenhouse gas emissions produced by landfill. Instead of discarding food scraps in the general waste bin, add them to a compost heap, Bokashi bin or worm farm. Backyard compost: If you live in a rural area, an open compost heap is a great option. If you live in the suburbs, opt for a closed compost bins to keep rodents at bay. Worm farm: Great for those who have a balcony, or shaded outdoor area. Worm farms don’t take up too much space and don’t smell. They are living beings so do require careful care. Bokashi bucket: Ideal to use as your kitchen food waste bin. Great for those who have limited or no outdoor space but still want to quickly decompose food waste. Scraps need to be buried in your garden or someone else’s. 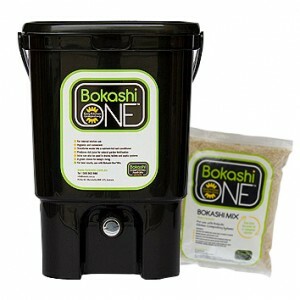 The bokashi ‘juice’ can be diluted and used as a plant fertiliser or to keep drains unblocked. You can find all of our composting solutions, Bokashi bins and worm farms here. Great article. Have been looking at Bokashi, but the problem is digging it into the ground, and my sister lives on a large rural property and she would not have it there because of the concern over snakes, although she has the space to dig it in. I have a normal surburban block but I am sure that I cannot dig the hole they recommend particularly when there has been no rain at the convenient time when you need to dig the hole…post hole digger might be good, but I don’t have one. Just now I have read this article attentively then I got lots of valuable information from here about recycling matter. I will share this website with my friends I hope they will be happy with this information.